Don is the CEO and Founder of Centurion Business Coach. His specialty is in networking and sales coaching. He leverages his 30+ years of business experience to help others network more efficiently, build stronger relationships and make more sales. Don’s listening skills, intuition and in depth questioning skills, enable his clients to break through to new levels of success. Don helps others through individual and group coaching, interactive education and publications like “The Networking Success Kit”. Chenney is the Founder and Managing Partner of Plum Street Productions, LLC — a full service video and film production company. Chenney has over ten years of experience in brand storytelling and media strategy. Her passion and success is creating targeted stories for multimedia solutions for product launches and services where consumers can connect to brands in organic, engaging ways. 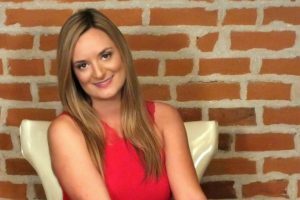 With her creative team and customized media strategies, she has helped local organizations reach over 15,000 views on YouTube within a week and more than double the attendance numbers for live events through video marketing. Chenney is also the producer of Plum Street’s short films, Turn and Call Me, which are now being distributed throughout festival circuits. Currently, she serves as a board member of the Southern Ohio Filmmakers Association. Darla LeDoux CPC, ACC spent much of her corporate life doing all the things she was “supposed” to do to be successful. She made sure to always “look smart,” always had the “right answers” and promptly went into a “respectable career” as a consumer researcher and product development engineer. When she began to feel that all the “supposedly right” things were actually wrong, she was terrified. She wondered, “What will people think of me if I quit my good career and become an entrepreneur and coach? And what if I’m wrong?”After 12+ years of resisting this calling, she made a decision to step into her Truth and follow her heart. She now uses her natural gifts and professional experience in consumer insights, product development, marketing, teaching, and coaching to guide aligned entrepreneurs in transforming their results and day-to-day experience in business. Tim has been helping companies grow their business for over 25 years with both on-line and off-line strategies and implementation. In 1995 he had the idea that SEO and the Internet was going to be the biggest tool to successfully help companies grow leaps and bounds. In 1997 he started Internet Marketing Group. Staying 100% focused on SEO and search marketing strategies he’s been able to assist mom & pop to Fortune 100 companies successfully build business.With marketing needs and technology ever changing, he saw the huge need for mobile marketing and addressed that area as well. In early 2011 he founded MobileFusion.biz, a full service mobile marketing company. The need for mobile marketing is growing faster than imagined. Marcelina has been in the arts community, and a freelance video producer for 10+ years. While working in the arts community, Marcelina was in sales and marketing for the Cincinnati Symphony Orchestra and Playhouse in the Park. Additionally, Marcelina is producing a series of how-to videos, which are posted on YouTube and used to generate sales, for a local business. Marcelina is also teaching artists with the Carnegie Visual and Performing Arts Center and the Center for Great Neighborhoods. Marcelina teaches the youth who are in grades 5 to 12 the basics of video production, acting and storytelling. Daniel J. Lewis is an Award Winning Podcaster. He has been podcasting since 2007 and currently hosts three covering a variety of topics: comedy (“the Ramen Noodle”), podcasting and Audacity (“The Audacity to Podcast”), and Christian critical thinking on entertainment (“Are You Just Watching?”). Daniel enjoys taking an in-depth approach to helping students learn about podcasting, and is the only podcaster to feature and regularly focus on Audacity, the free audio-editor for Windows, OS X, and Linux. John Durso is a residential Realtor specializing in the Greater Cincinnati area Real Estate market. With over 1000 real estate transactions over his career you can see his success. He offers a vast wealth of real estate experience when it comes to buying or selling single families or 2-4 family properties. He has become a leader in his field for utilizing social media marketing in his business of selling real estate. His additional areas of expertise includes listing, marketing homes and negotiating real estate transactions while providing a smooth Real Estate transition! Peg Stookey founded Legacy Connection, LLC a community of entrepreneurs and resources to help accelerate the success of small business owners in the Exploration…Start-up….Growth….or Exit stage of their business. She customizes her clients entrepreneurial development experience by offering individual and small & large group programs. Her mission is to ensure accelerated success AND enjoy long-term profitability and value from their business. Vickie Sceifers has over 15 years experience in video and web design. 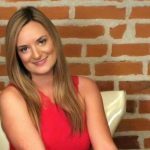 She really enjoys helping small businesses and entrepreneurs learn how online video marketing can help them grow their businesses without breaking the bank. Her focus is helping you leverage your online presence through video on your website, online video marketing and social networking to the degree that you wish to grow your business.